Short, educational videos to view, embed or download. Abort73 videos are designed to be educational supplements to the information available at Abort73.com and/or to help introduce people to the work and ministry of Abort73. Feel free to embed them on your web pages or use them in group presentations. This is an update to our "40 Years" video, which raises some important questions for the church in America. We ask them, not because we have all the answers, but because it's all too easy to gloss over what Jesus has said about the marginalized and threatened. If the gospel is not good news for abortion-vulnerable women and children, then it's not the gospel. A quick look at where abortion ranks among the leading causes of death in the United States. Listed figures come from 2008—the most recent year for which national, abortion data is available. Planned Parenthood is right. There is no ethical difference between abortion and infanticide. To be morally consistent, infanticide must be lawful or abortion must be unlawful. This 3-minute exposé examines the disconnect between the celebration of "peace" as a an abstract ideal and the rejection of peace as a meaningful, life ethic. Around the globe, we are all threatened by violence, and that threat is never greater than when we are in the womb. If the highest expression of love is to lay down your life for another, what is its opposite? Think about that in the context of abortion. Symbolically, this is what abortion does to the most helpless members of the human community, thousands of times a day. The courage and conviction of Emmett Till's mother opened the eyes of a nation to hidden injustice. Do we share her courage? Most of these presidential quotations were not made with abortion in mind, but they all have much to bear on the historic injustice of elective abortion. Abortion is an act of violence that kills an innocent human being. Portions of this video presentation include graphic images of severe injustice. They are included to demonstrate the historic role that photography has played in forming public opinion and to expose the ongoing violence of abortion. Because most social media channels actively censor depictions of abortion violence, portions of this video have been obscured through pixelization. 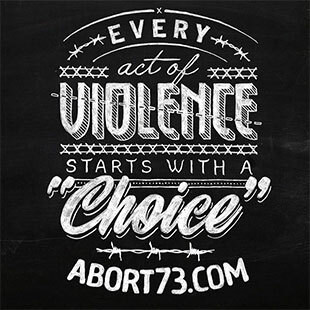 Abortion is an act of violence that kills an innocent human being. Portions of this video presentation include graphic images of severe injustice. They are included to demonstrate the historic role that photography has played in forming public opinion and to expose the ongoing violence of abortion. Viewer discretion is advised. January 22, 2013 marks the 40 year anniversary of Roe vs. Wade--the Supreme Court decision that made abortion a constitutionally protected act. Over that span, an estimated 54 million human beings have been legally torn to pieces, which raises some disturbing questions for the church in America. A look at some of the leading killers in the United States. Examines both total deaths and complicity of the victims. Approximately .00003% of school-aged children in Connecticut will be killed by gun violence this year. 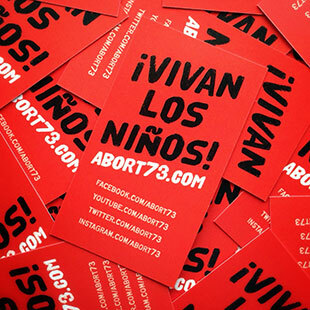 Approximately 26% of unborn children in Connecticut will be killed by abortion violence this year. If you think abortion is a fundamental human right, perhaps you celebrate the fact that black children are being sacrificed to this privilege at quadruple the rate of whites. But if abortion is an act of violence that kills an innocent human being, then something far more sinister is at work here. A brief, statistical overview of abortion in the United States from 2000-2009. Abortion data for 2009 was made available by the Centers for Disease Control in November 2012. Bigotry and persecution can take on many forms. And if we're not able to connect abuses from the past with abuses in the present, the future will be a very ugly place. Girls are many things; girls are to be celebrated and cherished. They are the lifeblood of our future. 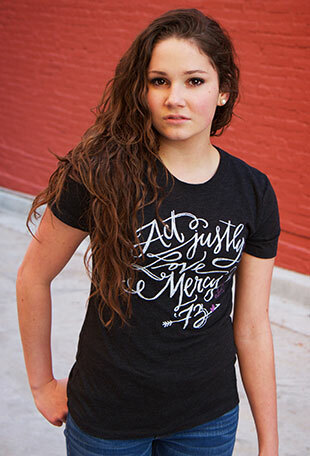 But thousands of times a day, girls are violently destroyed by abortion--simply for being girls. Without choice, there is no freedom... but there is something more fundamental than choice. Without life, there is no choice or freedom. We take great precautions to protect our children from harm. Shouldn't the most vulnerable get the most protection?